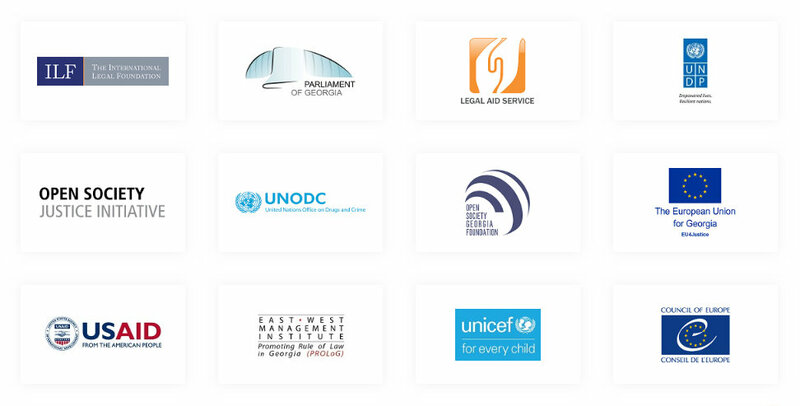 On November 13-15, 2018, the Parliament of Georgia and the Legal Aid Service of Georgia, together with The International Legal Foundation (ILF), the Open Society Justice Initiative (OSJI), the United Nations Development Programme (UNDP), and the United Nations Office on Drugs and Crime (UNODC), and in collaboration with the Open Society Georgia Foundation (OSGF), the United States Agency for International Development (USAID) Project “Promoting Rule of Law in Georgia” implemented by East-West Management Institute (EWMI-PROLoG), the European Union (EU), the Council of Europe (CoE) “Support to the Judicial Reform” Project, and the United Nations Children’s Fund (UNICEF) hosted the Third International Conference on Access to Legal Aid in Criminal Justice Systems (ILAC) in Tbilisi, Georgia. The Third ILAC brought together over 270 participants from more than 60 countries who were legal aid policy makers and practitioners from Ministries of Justice, the judiciary, public defender offices, bar associations, offices of public prosecution, and international organisations, as well as legal aid lawyers, community-based paralegals, civil society members, and other experts. The Conference built on the progress achieved since the First International Conference held in Johannesburg, South Africa in 2014 and the Second International Conference held in Buenos Aires, Argentina in 2016, and focused on addressing global challenges in ensuring access to quality legal aid for the poor and vulnerable, particularly in criminal justice systems. Three days of deliberations produced the Tbilisi Declaration, which was adopted at the closure of the Conference, with the request that it be publicised widely to legal aid networks and forwarded to national governments, the United Nations Human Rights Council, regional commissions, the Commission on Crime Prevention and Criminal Justice, the Fourteenth United Nations Congress on Crime Prevention and Criminal Justice to be held in Kyoto, Japan in 2020, and shared in discussions around achieving the Sustainable Development Goals of the 2030 Agenda for Sustainable Development, adopted by the United Nations General Assembly in resolution 70/1.